To find summer meal sites, go to www.spokaneschools.org and click on "free summer meals for children." 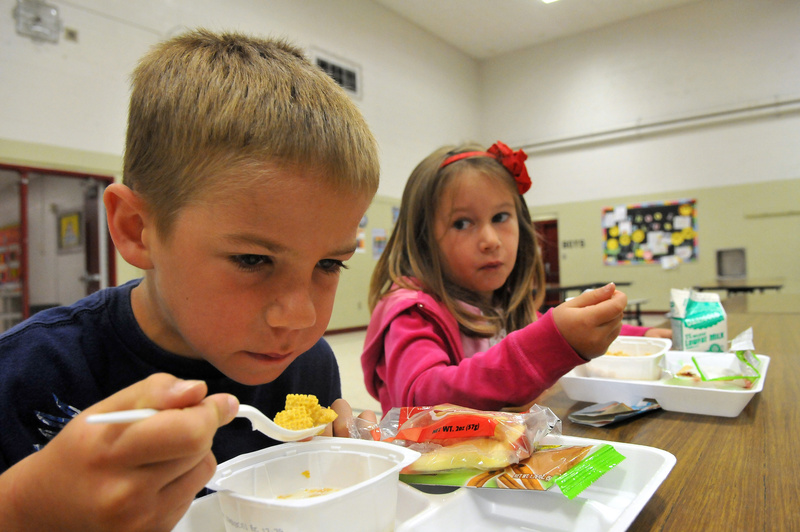 The Coeur d'Alene and Post Falls school districts also host meal sites. For information about sponsoring a meal site, go to www.fns.usda.gov/cnd/summer. Nutrition is vital to sustain a child’s growth and learning, and for some children school is the only place where they can get a balanced meal. The summer meals program – created by the U.S. Department of Agriculture in the ’80s – is intended to bridge the vacation gap. The federally funded program is already under way in North Idaho, and it kicks off Monday at more than 30 sites in the Spokane area. Central Valley’s meal site opens June 27. The program is open to anyone regardless of income. While some area districts say their summer program participation has grown only slightly in recent years, Spokane Public Schools – the poorest of the area’s largest districts – has seen a 15 percent increase in the past two years. The district has also increased the number of sites by 10 percent. However, the meals are only reaching “a small fraction” of the students who qualify for free or reduced-price meals, said Doug Wordell, Spokane Public Schools director of nutrition services. The same frustration is shared by the USDA on a national level. More than 21 million low-income children in the United States received free or reduced-price meals each day during the school year, according to the USDA. But only 3 million children received food on an average summer day based on 2010 data. A new mandate that began this year could help, Wordell said. All school districts that have students who qualify for free or reduced-price meals must promote where summer meals are being offered, if they are not providing sites. Jean Daniel, spokeswoman for the USDA, said the main reasons for food not reaching kids are transportation to the sites where food is being offered and not enough sponsors of the food sites.